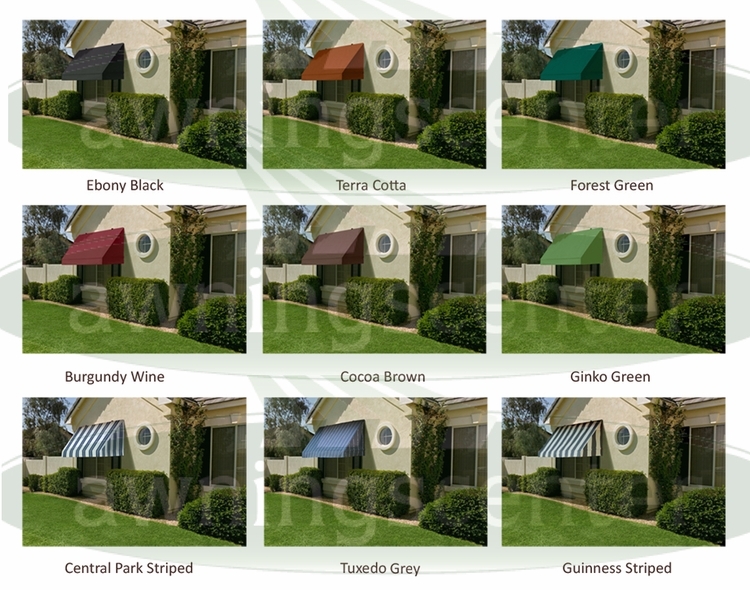 Classic style retractable window awnings with a straight edge valance available in three different widths. 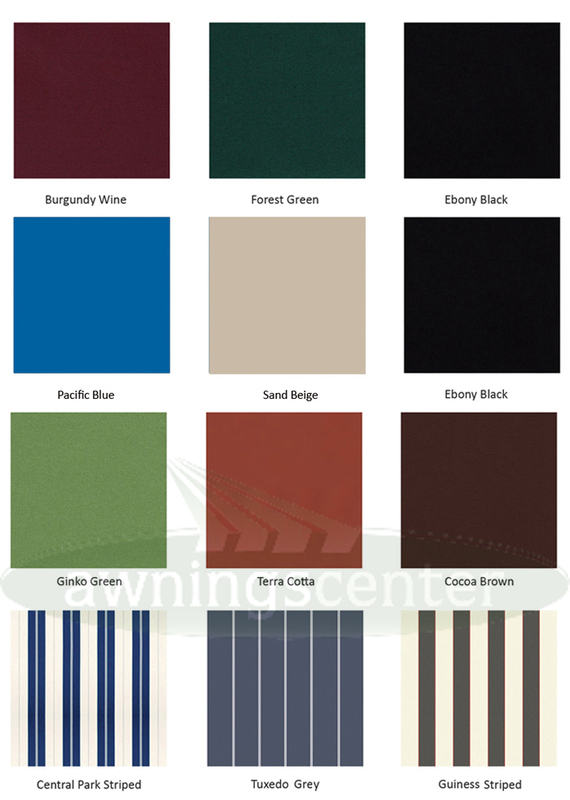 These window awnings incorporate an acrylic marine grade vinyl making them both weather-proof, fade resistant and mold tolerant. The projections for all sizes are twenty-five inches which would allow their use as a door canopy providing you have an in-swinging door. 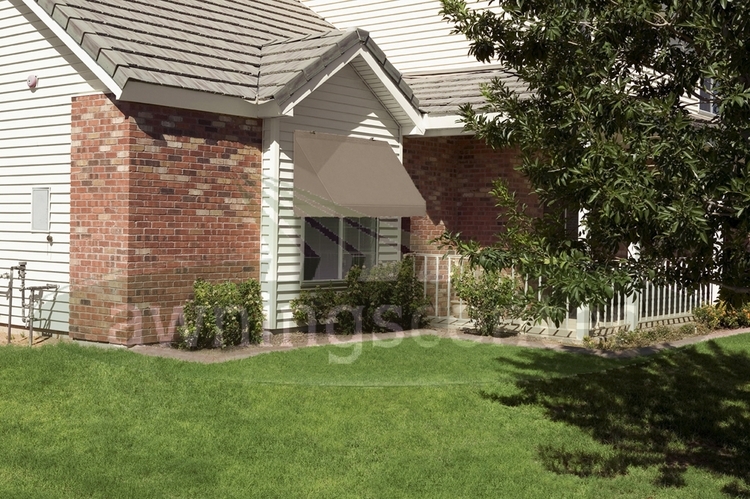 These manually retractable window awnings can be left down or they can collapse upon themselves due to the frame swivel joints allowing them to be closed during periods of high winds. 2. Install the head clamps at the top of the awning and the frame - swivel supports and the base of the awning frame.